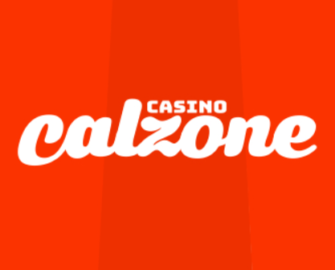 Casino Calzone – Cal’s Leaning Tower of Pizza! Join the Weekly Towers of Pizza for your chance to win a share €5,000! Cal is inviting all of its players to a month-long race to the “Leaning Tower of Pizza”. There will be weekly leader boards for Mega Free Spins and a monthly leader board where the top scoring player will win a VIP trip to Italy and 19 runners-up contestants a Pizza Oven or Cal’s cash. Score points by playing your favorite games at Casino Calzone and race to the top for your share of the prize pool. Do you like a proper wager race? 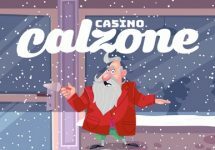 Then Casino Calzone is the place to be in September 2017. Weekly leader boards will reward the TOP25 players with Mega Spins and the monthly leader board will have one winner for a VIP trip to Italy plus pizza ovens and Cal’s cash prizes for 19 runners-up contestants. Each week the TOP25 scorers will be rewarded with 2 – 100 Mega Spins, worth €1.00 each. The spins are added by 15:00 CET on the following Friday after the end of the weekly leader board. Wagering requirement is 35x FS winnings with a maximum withdrawal capped at €1,000 per batch of Free Spins. Casino Calzone bonus terms and conditions apply. All points earned throughout the campaign will be added to the monthly leader board. The TOP20 scoring players by midnight on 5th October will win prizes. The VIP Trip includes: 3 nights for two at the Fontanella Borghese Lux in the heart of Rome, Saturday excursion with private pizza making lessons with the Head Chef at a 17th Century Palazzo, €300 in spending money, €500 maximum for flights. Prizes will be added on 6th October. Winners of the holiday and pizza ovens will be contacted within 24 hours and can opt for a cash alternative.